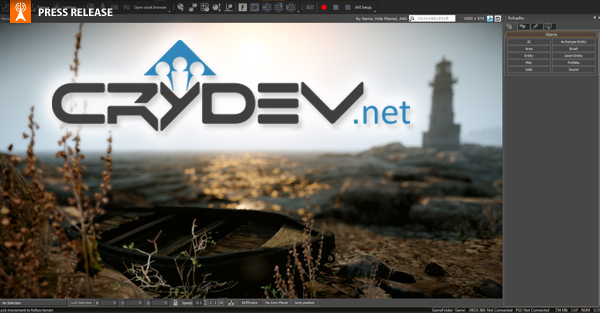 Crytek Releases CryENGINE®3 SDK Free-of-Charge the same tools that have been used to create their next generation AAA game Crysis 2. 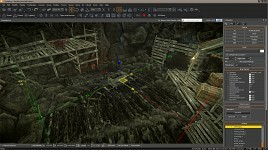 Crytek wrote: It includes the CryENGINE®3 Sandbox™ level editor, a production-proven, 3rd generation “What you see is what you play” (WYSIWYP) - tool designed by and for professional developers. 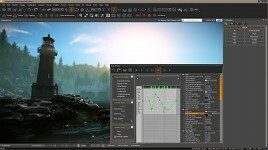 According to Crytek you will have the same tools that commercial licenses can use. It allows you to create a game from scratch. Crytek also ensures us that the SDK will be updated regularly. If you want to release your game onto platforms other than PC, or you need access to CryENGINE 3 source code you will need to contact Crytek. With the release of the SDK Crytek encourages developers to use their engine and hope it will attract new (Indie) companies. The SDK can be used for free if you want to create non-commercial projects such as games, school projects, movies and so on and so on. If you wish to create a commercial game, for example an Indie game, Crytek is offering a royalty-only license model where Crytek requires 20% of the developer’s revenues from the commercial launch of their game. since when was Garry's mod an editing kit? lol. I assure you, this is QUITE different than just spawning things in a world and sticking junk together. Garry’s mod allowed you to place things where ever you wanted it, and was practically a mod to be modded. In other words it was a very flexible 'game' that could be moulded by the player similar to an SDK but SDKs are much more advanced. There is the 32bit executable too for the sandbox? Yup and I can confirm that it runs on 32 bit win 7. Thanks for the reply, downloading :). Whats the point of 32bit dev tools? Developing on a 32bit OS. Because many people still use 32 bit OSs. Which is the problem really. People need to catch up. give the right tools to indie developers. of my list to look in to, that is for sure!! Your welcome Leon. 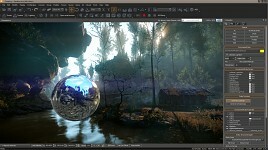 Hope to see your work on CryENGINE 3 for your next project. I used to want this kind of stuff, but with the coming release of the id Tech 4 engine under the GPL, I doubt I'm going to use this for my commercial products. Awesome, awesome, awesome. I'm glad Crytek came through on this. I just been playing with it for 2 hours xD. It's pretty decent little engine, kinda same as sandbox 2 with a few new features and improved graphics. "It's pretty decent little engine"
Yes "pretty decent" and "little", if I would describe this AAA engine with a history of hardware challenging games ... those words wouldn't enter the description. Haha :p i didn't mean it like that lol. this made my day, we're going to get some awesome products out of this. Oh and don't forget to share your work on: Moddb.com . 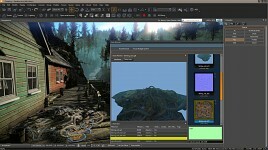 Post your CryENGINE 3 videos, screenshots and news. Are you sure it's 20%? I don't see that mentioned anywhere on their website or in any of the other press releases. All it mentions is you need to contact Crytek for an indie license. On that note 20% seems pretty reasonable for what you get, I was expecting a bit more of a hit in the pocket. Cry-Ruan is a Crytec employee so if he has not denied that maybe it is true. But i personally am more interested on the idtech 4 engine source. Been waiting for this! Can't seem to get onto crydev at the moment though, so hopefully the download from moddb is going to keep up, just 10 more minutes, seems much longer than waiting for the whole 6 months. Looking forward most to level streaming, if it makes its way in an update (or is already in? ), going to finally begin messing with anything new and transferring everything I got now into it. Things definitely looking good. Kind of late reply, but yeah, firefox was showing a 'server not found message', put it down to a heavy traffic load, as I could not login with crydev for the tools either. All good now of course, just usually get a timeout error I would have thought. Yes, the CryDev (forums) site is slow. I had two time-outs. I love the SDK but have lot's of questions. Please, have a look if something could be done. I don't plan to use it since we're pretty happy with UDK but I do wonder how you create games from scratch, does this ship with some sort of programming interface à la Unity, or what? Would I be right in saying that you could theoretically play mods for free with the SDK? A mod created with the Crysis2 tools that uses Crysis 2 assests will not be playable on the Free SDK since its missing the Crysis 2 assets. Isn't workin for me Winrar says unknown format?If anybody knows the problem or got it to please pm me! I have to thank you guys for putting it in ZIP. I prefer the default compression software. Downloaded. I look forward to learning this.